You’re Invited to Join Us for The Best Coffee In Town! 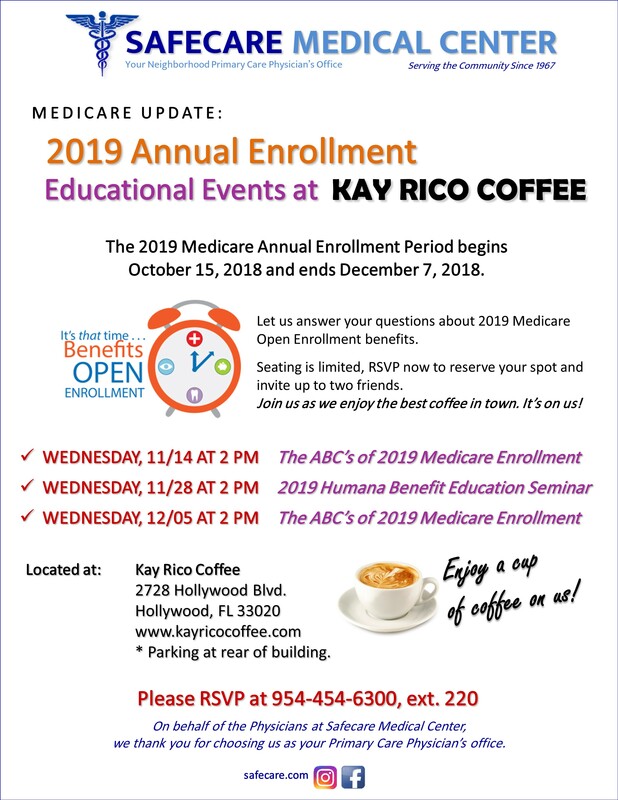 You are invited to a cup of delicious coffee as we answer your questions about the 2019 Medicare Open Enrollment Benefits. 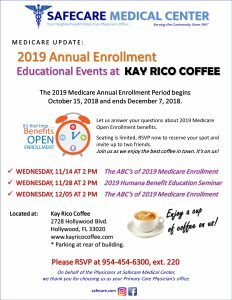 3 available dates, one fabulous location, Kay Rico Coffee in Hollywood Blvd. * Seating is limited RSVP now to reserve your spot and invite two friends. * Parking available at rear of the building. Join us as we enjoy the best coffee in town, it’s on us!